With “Contest Burner Ultimate” you are the top-of-the-line customer who gets incredible features not available anywhere but here in the “ultimate” level. 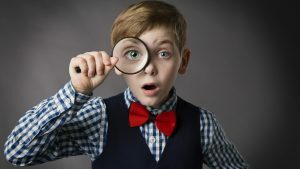 These top-shelf features are worth a bucket of gold, and can be priceless for exploding your Affiliate Participation and reaching multiple levels deep! This is where “viral marketing” goes to a completely new level!! 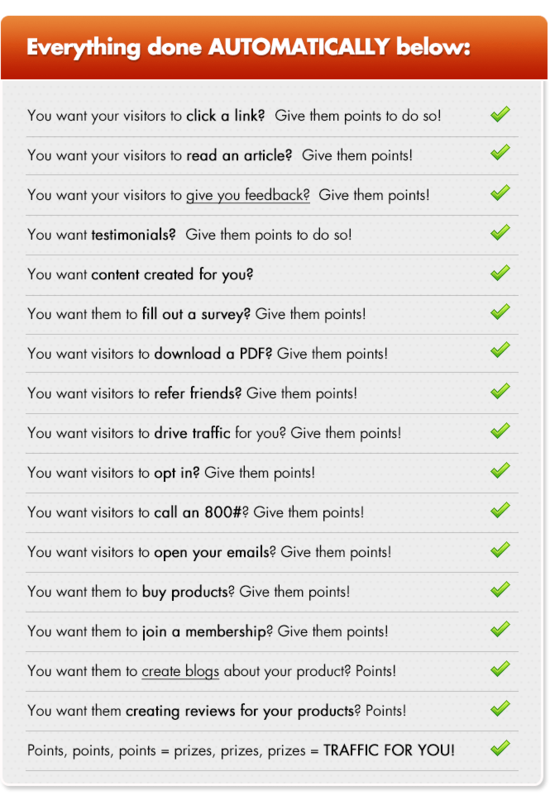 Contest Burner “herds” visitors to do what you want them to do by incentivizing them with prizes. It’s that simple. The result for you is a thunderstorm of action, buzz, traffic and income! With “Ultimate” is all automated and systemized. The system can track and implement all of the above easily. This saves you a ton of time and energy. You will not have to do any of that manually at all. Once you run your first contest, you’ll want to use Contest Burner again and again to drive tons of traffic and buzz! It’s just too hard to not use it. I mean, even the big dog gurus are using Contest Burner all over the place! The standard edition only comes with one license for one domain and that’s it. With the Ultimate Edition, you get 5 Additional Domain Licenses! You will be able to have contest running for a long time to come and you’ll be set! This alone is worth the price of upgrading to Ultimate Edition! This will save you over $380! This fuels them to participate more in your contest. They get their affiliate link passed around all over the net. This feature in itself boosts the heck out of your contests. Who does not want their affiliate link passed around and presented virally everywhere? This is one awesome module and it is packed with a lot of power! You can only get your hands on this feature by upgrading to the Ultimate Edition! One of the strikingly brilliant features of Contest Burner is it’s multi-tiered function. This is where you can set up your participants with multi-level tracking that shows how many people each participant brought in… and how many they brought in, and so on. Let’s say you have an affiliate program and one of your affiliates go out and bring in 1,000 people to your contest. All those 1,000 people are cookied to that affiliate! NOW, those 1,000 people participate in your contest too, and 1,000 people bring in a total of 10 people each. Now, that same affiliate has 10,000 people cookied to his/her affiliate link. If any of them buy, that affiliate makes commissions (as long as those people do not sign up as an affiliate of the product). This feature fuels people to take even more action and participate in your contest even more! They will see all the results from people below them. This is a fantastic feature of the program that can certainly unleash a viral storm! Can you see the power and capabilities this thing can generate? Think about this… in that example above, all those 10,000 people would be opted into YOUR LIST! I know it’s a little difficult to explain (with multi-tiers) so just understand this… with Contest Burner, your people can generate more people, and those people can generate even more people and so on! All of those people filling your list up quickly! This is a fantastic module where you get to incentivize your participants by giving them content when they reach “X” amount of points. In other words, you can have a $400 information product that they get when they hit 500 points. Then, they get a $997 program when they hit 1,000 points and so on. This is a great way to build participation. Instead of people having to spend money to get your digital products, they can simply earn it by participating in the contest. For you, you trade your digital content for TRAFFIC! You can only get this module by upgrading to Contest Burner Ultimate! Just for upgrading today, you will also get this incredible bonus that’s worth more than the price of admission alone! I mean, this bonus sells for more than the cost of upgrading, and you get the bonus free as a special opportunity! Obviously, this advanced training is reserved for the most serious contest runners. This training comes from case studies, top marketers and our own in-house experience running contests. You get to save yourself a ton of time, energy, blood, sweat and tears by following our advice. You will be short-cutting your trials and errors and that equals more money faster! This training is second to none and will boost your success much faster than you’ll ever realize. You’ll know exactly what you are doing and the opportunities are endless. In fact, you’re going to need those additional 5 domain name licenses after this training, because you’ll become a contest running pro! And, that’s hugely valuable. Even fortune 500 companies run contests and have for decades. Contests are not going anywhere and you’re smack in the middle of one of the very best platforms for running contests in the world. The sky really is the limit and we’ll train you on the very best information and methods available. As a special token of appreciation for investing in Contest Burner Standard Edition, I’ve slashed the price of Ultimate Edition to make it extremely affordable. The cost of an additional 5 domain name licenses is worth $385 alone! 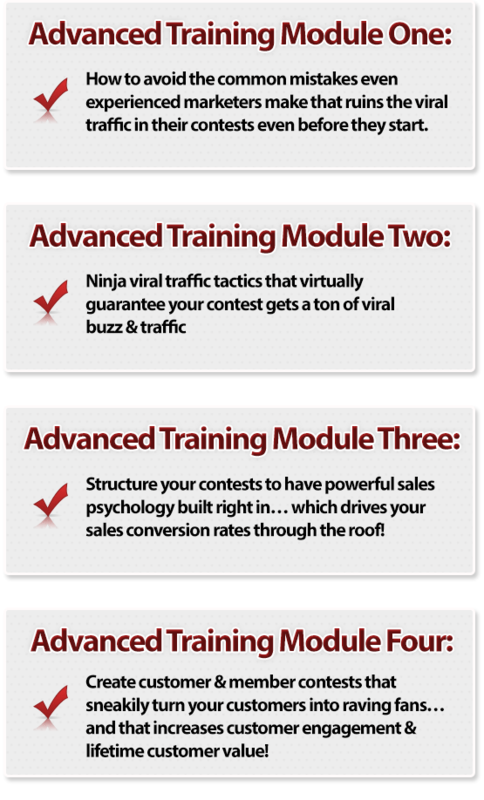 Plus, you are getting the multi-tiered module… the Affiliate Module… and top-shelf advanced training as well. Jump on this special offer and become an Ultimate Upgraded Customer Right Now! Because of this deal, the price could change at any moment. This is a steal at this price and I’m not sure how long it will stay at this rate… so take action fast and UPGRADE! Your investment is secure and guaranteed! If for any reason whatsoever you feel you want your money back, you’ll get it no questions asked! Every penny will instantly be returned to you without even asking why. That’s two months to try this program out! Heck, you’re going to learn a ton just from the Traffic Training! Join now, test out the program and I promise this is the best business decision you’ve made! We will blow you away and treat you the right way! SPECIAL PROMOTION ON THIS PAGE ONLY: $37! Right now we’re running a special promotion & this page is the only place you can grab this $110 discount off the regular price of Ultimate Edition. If you leave this page, we cannot guarantee you’ll ever have this opportunity again. When the sale ends: the price goes right back up and nobody will get this offer again. So don’t miss out on this amazing deal. After all, it’s only $37 and you get to instantly grab all this valuable software & training. “I’ve personally used the features in Ultimate Edition to bring in millions of dollars in sales & a ton of new subscribers on my own lists. You should realize that all it would take is a single successful promotion & you’ll have earned back your investment many times over. PS – With 5 additional domain names, you will be able to use Contest Burner to build huge lists, drive massive traffic and generate mountains of buzz in any marketplace. What are you waiting for?